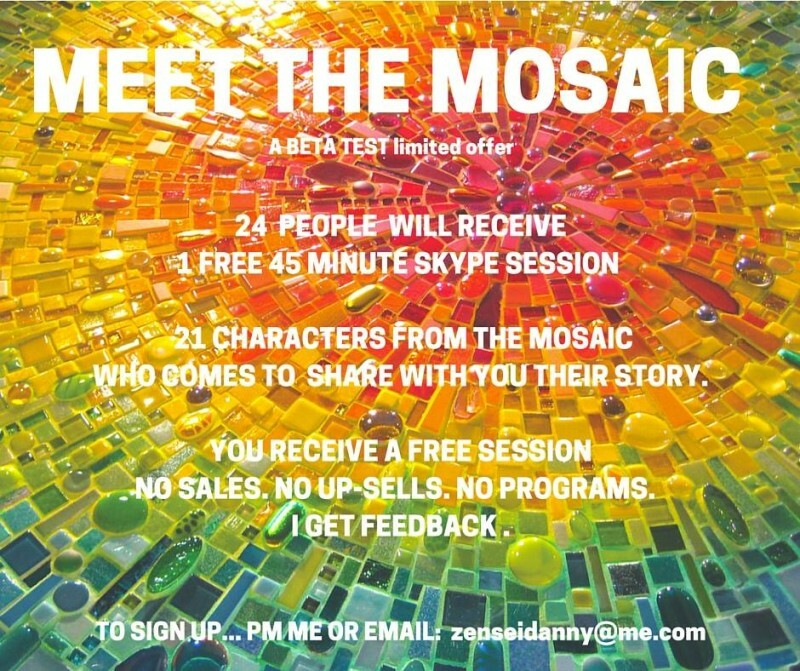 i am writing a book called THE MOSAIC. except the one thing he really wants. and the money in his pocket and just starts walking. without knowing where he is going he will never get anywhere. But this time, common wisdom is wrong. he has all the time in the world to sit and talk with them. and what will their story give you????? limited offer to the first 24 people. 10 spots already taken, 14 left. t h a n k y o u !!!! !